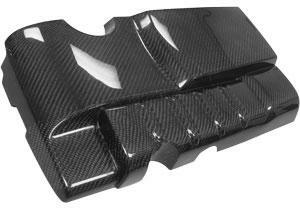 Designed to compliment the NEUSPEED P-Flo Kit, this engine cover is manufactured using 100% carbon fiber to be lightweight and for great looks. Specially machined billet aluminum stand-offs and a stainless strap simply attach to the factory pick-up points for an easy installation – no double-sided adhesive installations here! Must be used with the NEUSPEED P-Flo Kit with or without the NEUSPEED Race Series Cold-Air Extension Kit.